“…the Alliance is a dynamic and vigorous organisation which is constantly adapting itself to changing conditions. Given such changes people in NATO societies want action/protection and are not seeing it. It has also shown that its future tasks can be handled within the terms of the Treaty [Washington] by building on the methods and procedures which have proved their value over many years”. Future NATO? The visit of President Donald J. Trump to the new NATO HQ on 25 May certainly concentrated European minds, not least over the issue of equitable burden-sharing in the Alliance between the US and its European allies. As a Member of the Senior Advisory Board of the NATO Defence College Foundation and lead writer of the GLOBSEC NATO Adaptation Project with General John Allen and Admiral Giampaolo di Paola for me that meeting took place at a tipping point in NATO’s history; the crux between NATO’s past and a very different future. There is clearly much contention over the future direction and nature of NATO. One thing that almost everyone can agree on is that the status quo is unsustainable. This brief analysis considers the nature of that coming change and what is driving it, as well as the balance between protection and projection, security and defence, value and cost that the Alliance will need to strike if it is to maintain the defence of citizens from Tartu in the east to Vancouver in the west, Tromso in the north, and Messina in the south. It is hard to see how NATO can project the influence, power and effect vital to the defence of citizens without Alliance societies themselves becoming much more resilient. So many of the threats faced by the nations of the Alliance are credible because of the very openness of Western societies. Whilst the Alliance and its nations are rightly proud of the values implicit in such openness it also renders society far more open to attack than hitherto. Western openness has also enabled ostensibly weaker powers and actors to better exploit those vulnerabilities. Russia is a state with very little soft power at its disposal and because of that tends to over-emphasise hard military power in its foreign and security policy. However, the terrible twins of Internet and social media have given Moscow new hard soft power tools with which to destabilise the West, not least through the effective use of fake news and disinformation campaigns designed to keep the Alliance and its nations politically off-balance. Cyber warfare is also a part of the new spectrum of escalation as the relationship between mass-disruption and mass-destruction becomes both more intimate and more dangerous with infrastructures critical to the functioning of society now open to non-kinetic attack. Information warfare and cyber-attacks for part of a hybrid warfare paradigm that is not just the novel preserve of classical illiberal states. It is also empowering Salafist Jihadi groups such as Al Qaeda and Islamic State to penetrate deep into changing immigration-shaped societies, particularly in Europe. Recruitment of Alliance citizens to undertake terrorist attacks on their fellow-citizens is here to stay and will consume much of the security policy energy of Allied nations. Even a few years ago there was a clear and distinct line between ‘security’ and ‘defence’. The former tended towards the preservation of social order and borders. Security was by and large the preservation of domestic intelligence services and police forces, whilst defence was the stuff of armed forces and power projection. No more. Today, security and defence have merged into a spectrum. Several factors have driven this shift but the most pronounced has been the globalisation of crime and terrorism, their interaction, allied to the establishment of links between such groups and illiberal states. Consequently, states that continue to see a distinction, say, between criminal intelligence and military intelligence are missing an important new reality. Understanding threat can only come first from a better understanding of the nature of the new threat spectrum in which the big picture is married to the local picture. ‘Defence’ will also mean ‘offence’ in the twenty-first century. A notable facet of late in what passes for the Alliance defence and deterrence posture these days looks more like a counsel of despair. In the wake of the less-than-successful campaigns in Iraq, Afghanistan, Libya, and Syria the Alliance and its nations have effectively retreated behind a very thin wall hoping for the best whilst hopelessly confusing values and interests at the same time. The sheer scale of the challenges and potential threats building around NATO’s borders, and the seeming ability of adversaries and enemies to go about their business of destabilisation and destruction unhindered and unencumbered by the Alliance, is worrying to say the least. It is thus hard to believe NATO’s defence and deterrence posture could continue to be credible in the absence of an engagement strategy worthy of the name, which also includes power projection and at times the use of force. ‘Engagement’ also highlights the core problem with which NATO adaptation is struggling; the search for NATO’s future centre of gravity? The 2016 Warsaw Summit placed much store on the creation of a 360 Degree Alliance. And yet, the threats to NATO’s east and south are very different. The threat on NATO’s Eastern Flank requires something of a more conventional military balance to be established that would have been recognisable to Cold War commanders, albeit to the east of where they stood. The multiple ‘threats’ on the Southern Flank are no less of a danger and perhaps pose a graver challenge to Alliance societies over time. The interactive matrix of failing states, uncontrolled hyper-migration, Islamist terrorism, competing militias and their links with transnational organised crime, allied to the potential for regional-strategic war across the Middle East and North Africa pose a real and present danger to Europe. And yet the kind of future force NATO needs, and at what level of capability and capacity and to do what, remains not just a profound dilemma for NATO force planners, but also a source of deep contention between the Allies. In an ‘ideal’ NATO a 360 Degree Alliance would mean a NATO force that could both deter to the East and at the same time engage to the South effectively and credibly. At the very least the future NATO force would need to be big, agile and powerful at one and the same time, with both NATO’s command and force structures up to the task. Any takers? Of course, underpinning the strategy debate the resource debate. NATO clearly needs more and better forces. Only five NATO nations spend the agreed minimum benchmark of 2% GDP on defence, of which two crucially are the UK and US. Given the money being spent on armed forces elsewhere in the world it is also clear that, whilst in 2015 NATO Europeans stopped cutting defence budgets and 2016 saw some very modest increases, NATO Europe needs to spend more and spend better. This is not least because during President Trump’s May visit to NATO he made it very clear the US really does want to talk BS – burden-sharing. And yet that sound that one hears in Brussels these days is the sound of NATO Europeans sliding back into the tangled bushes of European austerity politics, and away from the 2014 NATO Defence Investment Pledge. The unfortunately ‘acronymed’ ‘DIP’ is suffering precisely that, a dip. The agreement at the 2014 NATO Wales Summit was that all NATO nations would spend 2% GDP on defence ‘within a decade’ of which 20% would be new investment. Last week the Belgian defence minister said that Brussels had no intention of spending 2% GDP on defence, a view shared by several other NATO nations. This begs another question. Just what value are summit declarations if NATO allies sign up to commitments they have no intention of keeping? The consequence? As each day passes the security and defence of the Alliance and its nations becomes ever-more threadbare, and its peoples ever more vulnerable. To put that vulnerability in strategic context one need merely consider the potential game changers faced by the Alliance. Perhaps the least threatening is Brexit. Strategic common sense suggests that a deal will be done that will establish a new and equitable relationship between post-Brexit Britain and the EU. Unfortunately, rhetoric on both sides suggests otherwise. If the British people come to believe they are being punished by the EU and its member-states for democratically and legitimately withdrawing from what is meant to be a voluntary association of states then it will not only the EU that will be damaged. It will be very hard for a British political leader to convince the British people that Europe’s strongest military power should risks live and geld defending people who want to hurt them, and that will affect NATO. Then there is the issue of US military over-stretch. The growing power of the forces of illiberal states the world over means US military dominance is being eroded. It will soon be hard to imagine the Americans able to fight two major wars and a major stabilisation campaign in the three theatres simultaneously. Or, to use NATO parlance a Major Joint Operation Plus Plus! At the very least the Americans have the right to expect their European allies to be effective first responders in Europe. If Europeans do not rise to that burden-sharing challenge the impact on NATO will be profound and negative. And there is the issue of future war or hyper war. Advances being made by the US, China and Russia in the use of artificial intelligence, advanced autonomous weapons systems, big data and a host of other developments suggest a quantum leap in the speed of conflict and war in the twenty-first century. NATO Europe? What price future military interoperability between NATO US and NATO Europe? The future NATO should be a racially different NATO to the NATO of today. It will need to a thinking NATO that better understands the strategic environment it serves, is better able and quicker to see signs of trouble, better able to decide fast what to do about it, and better resourced and equipped to deploy the forces and tools needed to meet and mitigate any threat. That aim in turn implies the creation of an innovation NATO in which at least part of Allied Command Transformation begins to look like the US Defence Advanced Projects Research Agency or DARPA. This would mean an Alliance freed to look at threats as they are, not how much NATO Europeans can afford. A NATO that is ready and able to develop and exploit new technologies and science. Future NATO would also need to a more resilient NATO. This would not only mean strengthening the protection of deployed Allied forces, and their command and logistics systems, vital though the need for such modernisation. It would also mean the Alliance working with the nations to make society and critical infrastructures more resilient so that no single strike by an enemy could effectively render NATO unable to respond. No capacity to respond means no deterrence, no deterrence means no defence. 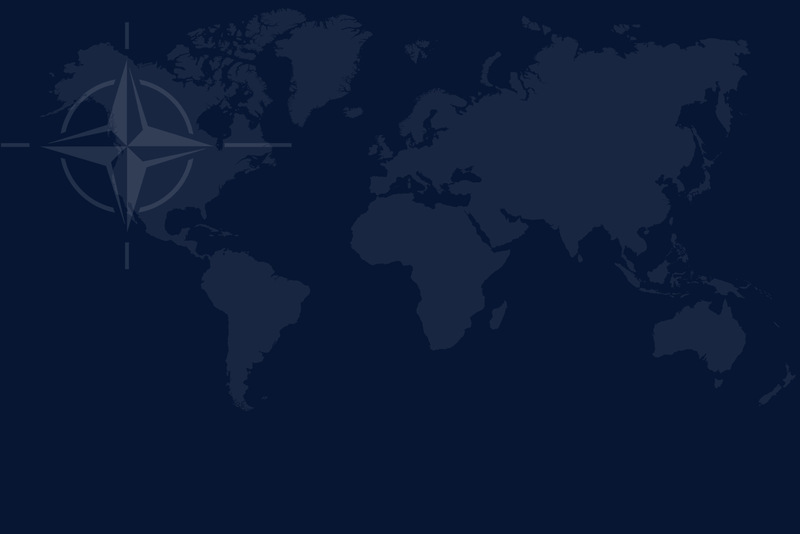 Future NATO would also need to be a power projection NATO able to deploy and sustain forces far beyond its own borders, including protection of vital sea-lines of communication and the global commons. It would also need to be a NATO with a far stronger sense of the place of space in strategy and defence. Future NATO also needs to be a strategic hub force for such a force is the only way the 250 Degree Approach could be realised. That means a future NATO force big enough, agile enough and manoeuvrable enough to support the nations to the south, east, and north across a range of crises, possibly at the same time. Future NATO would also need to be a partnership NATO. The relationship with the EU and other partners and institutions the world-over will be vital because the utility of force in many crises will be linked to economy of force in support of civilian leadership and resources. Above all, future NATO will need to actively assist the European nations to better balance efficiency and effectiveness with affordability. Here, the NATO-EU relationship will be particularly important as much of the future European force will emerge not only from more and better investment and procurement, but from deeper political and military integration. NATO should not be afraid to stand aside and let the EU lead when it offers the best way forwards to a European future force that could reinforce both NATO and the EU. The ends? A radically-different NATO. The ways? A new Harmel report. The means? Julian Lindley-French – Vice-President, Atlantic Treaty Association, Senior Fellow, Institute for Statecraft, London; Director, Europa Analytica, Netherlands; Distinguished Visiting Research Fellow, National Defense University, Washington DC; & Fellow, Canadian Global Affairs Institute.